It was the kind of scuffle you might see at a dog park on any given day. A couple of dogs take a disliking to each other and things get physical. One dog emerged with a minor scratch. The other has been locked up since 2008. Meet Brindi, a German shepherd mix who has lived in a concrete kennel in an animal control shelter for so long, her owner doesn't know for certain whether she's alive or dead. Shortly after the fight, someone complained and Brindi was seized from her home in the tiny Canadian city of East Chezzetcook. Under a city bylaw, a dog is deemed dangerous if he or she attacks another animal. A judge can then order the dog put down. Since 2008, Brindi's owner, Francesca Rogier, has had only one fleeting reunion with her best friend. 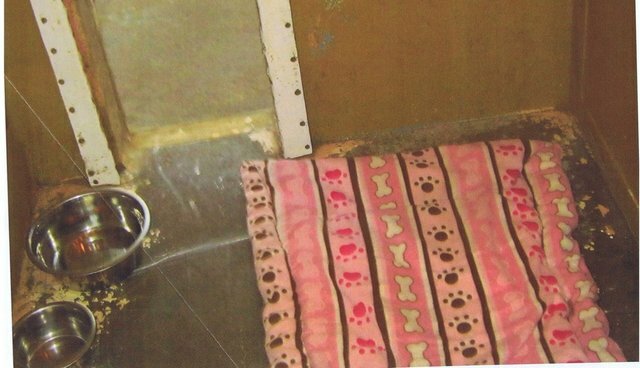 In 2010, after a lengthy legal skirmish, the dog was released from Wyndonfog kennels. But only for a few weeks. She got in a fight with another dog. Details are sparse. 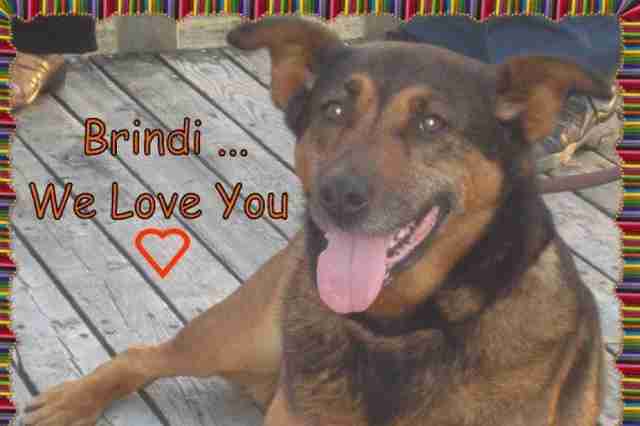 And that other dog may have been the same one she tussled with earlier, according to Brindi's supporters. In any case, this time there wasn't even a scratch on the other dog, they say. But Brindi was hauled back to Wyndonfog, this time, perhaps, for her forever incarceration. Today, this is where Brindi lives. "It's a very small town and I think her neighbors have kind of teamed up against her," Melissa Di Stefano, a friend of Rogier's, tells The Dodo. 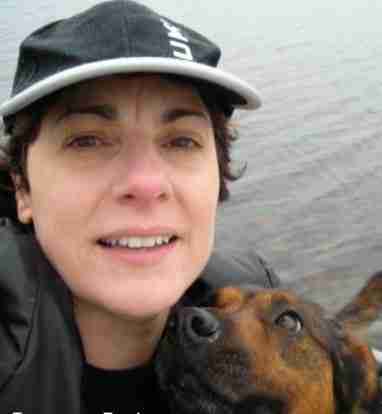 Rogier has been battling serious health concerns lately - made worse by the battle she's been waging against the City of Halifax to get her dog back. "She just doesn't have the strength any more," Di Stefano says. "It's really just ruined her life." Brindi's health may also be in grave question. Back in 2012, the last time Rogier heard any news about Brindi, the dog was found to be suffering from a serious problem with her pancreas. A particularly macabre aspect of the case is that Rogier only knows Brindi is alive because the legal machinery keeps lurching forward. The court battle that has taken so much from Rogier has also become a perverse kind of comfort. "There's no news since 2012, and yet the court proceedings still go on," Di Stefano says. "So I have to assume if the court proceedings are still going on then Brindi has to be alive." That begs another question. If Rogier's health fails, is there any chance no one could be waiting for Brindi if she ever does emerge from the kennel? "When Francesca doesn't have any more fight in her, I'll definitely be her support and continue for her to free Brindi," Di Stefano says. But the connection between Rogier and Brindi won't easily be severed. "Francesca isn't married. She doesn't have kids. This is her partner. Or child," Di Stefano says. "They've formed an unbreakable bond. No time, no space, nothing could penetrate that bond between them." Ironically, it was Rogier's worsening health that prevented her from attending a pivotal appeal hearing Thursday. She doesn't have enough money to hire a lawyer, so she has been representing herself in court. At the hearing she missed, however, her appeal was dismissed. Calls to Katherine Salsman, the prosecutor representing the City, have not been returned. 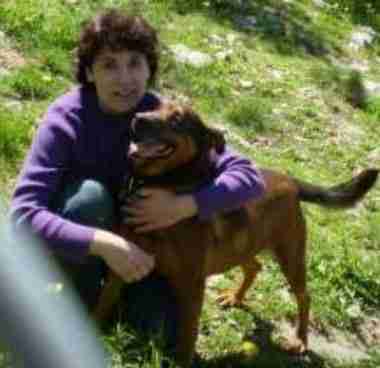 "Basically, at any point in time they can euthanize Brindi," Di Stefano says, of the latest legal turn. Euthanize? Are we still talking about killing a dog who misbehaved years ago? "To think that's even a consideration - that after eight years, you still want to euthanize her. At this point, it shouldn't even be on the table," Di Stefano says. And if she's ever freed? Certainly, we know what long-term incarceration does to humans. Would dogs, so acutely social and naturally attuned to companionship, be any different? How would Brindi's social skills have possibly improved through social deprivation? Perhaps that's why Brindi lashed out on her first outing in 2010. Or, perhaps, there's more at work here than just a dog deemed a menace to society. Di Stefano suggests Rogier may have developed an acrimonious relationship with the agency that seized her dog, Halifax Regional Municipality's animal control division. Another possibility? Brindi and the neighbor's dog just don't get along. They may have scuffled a couple of times. In small towns, word that your dog is a nuisance makes brisk time in getting around. In any event, punishment was swift and, seemingly, eternal. "It seems like there's been a big vendetta against Francesca. 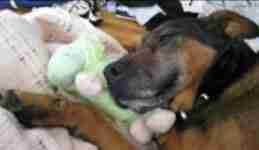 She's had a lot of battles with the people who were holding her dog at the pound and at the City of Halifax. "The animosity that has formed between them all just kept escalating and escalating." She's been the prisoner of Halifax for eight years. Every second too long. Sign this petition to set her free. Get in touch with Halifax mayor Mike Savage at savagem@halifax.ca or mayor@halifax.ca. You can also email John Traver, head of the city's legal services, at traverj@halifax.ca. Prosecuting lawyer Katherine Salsman can be reached at 902-490-6024. 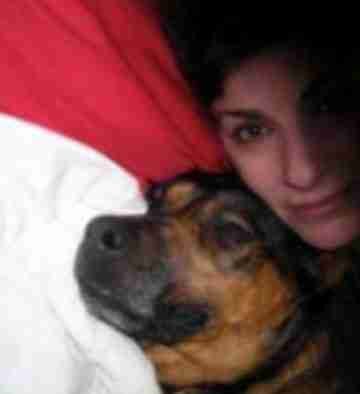 You can also support Francesca Rogier's legal battle to save Brindi here.